When I was in high school I got the JRPG itch. After playing Final Fantasy 9 and 7, I went and revisited almost all of Final Fantasy, then I went to the SNES classics like Chrono Trigger, Secret of Mana, then Breath of Fire, some Tales of and so on. I saved the world from the brink of destruction tons of times. As I grew up, controlling a bunch of teenagers with issues I no longer had wasn’t funny anymore. That’s where Reverie comes in. This is the story of a young boy on a trip to New Zealand to meet his grandparents that gets caught up in defeating some angry spirits. Yeah the trope is still there, but let me explain why this felt so refreshing compared to many other RPGs I’ve played. 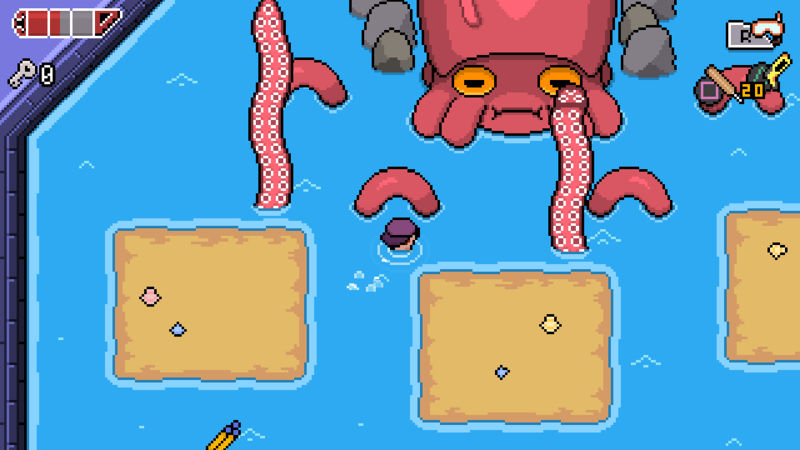 The story begins when our hero Tai arrives to Toromi Island to visit his grandparents. After traversing his grandpa’s basement to find an old book, he ends up fighting a possessed washing machine that tells him that several other spirits are causing troubles on the island. Now Tai must put a stop to the other spirits to protect Toromi Island. Did you noticed the part about the possessed washing machine? That’s just one of the many charms found in Reverie. The game takes inspiration both from The Legend of Zelda for its gameplay and dungeon progression, and Earthbound for almost everything else. Since the game takes place in the present time all the items and weapons you encounter are toys. Instead of bow and arrow you have a Nerf Gun, a Yo-Yo to paralyze enemies, and a plastic shovel to remove obstacles. But that’s not all, through the game we encounter talking kiwis, ghosts, mysterious creatures and a talking microwave that loves to play air hockey. All these fun characters and the easy-going nature of the game is what made it feel so different from other RPGs. Yes there is a threat that needs to be taken care of, but everyone keeps on with their lives so it all feels very peaceful to play. 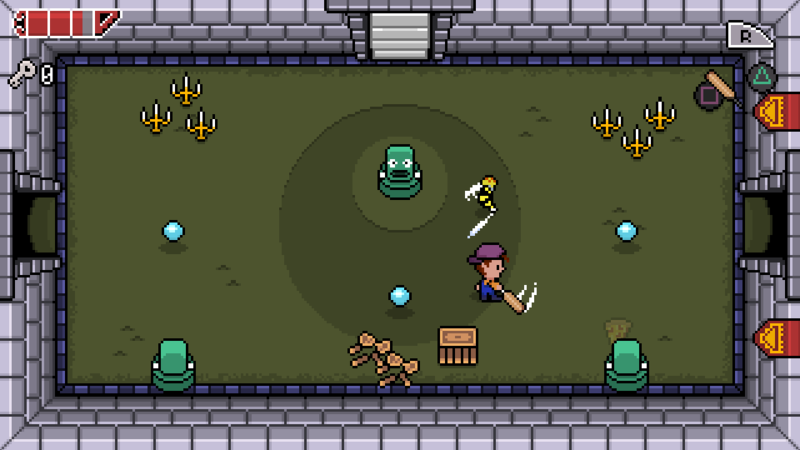 Following in Zelda’s footsteps, Reverie uses the old formula of finding the item of the dungeon that will solve the puzzles and help you beat the boss. The good thing is that this formula works and the puzzles are quite satisfying to solve. The enemies in the game are quite simple for the most part. Rats, bees and birds are the most common, but inside the dungeons you can find golems and fire spirits among others, which will prove a bigger challenge. Visually it’s easy to make the comparison with Earthbound. 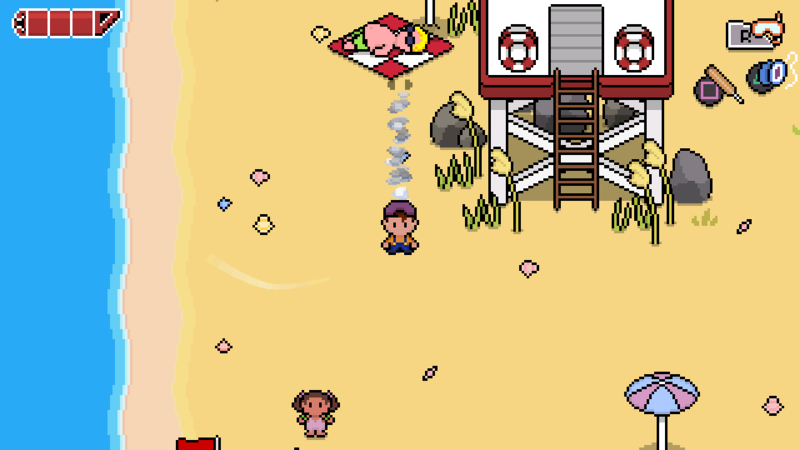 While the game uses pixel art, the characters and backgrounds are not very detailed, and use flat colors with no shadows, which gives the impression of being hand draw, a technique that was used previously on Earthbound. The music is very well made and would feel right at home on a SNES game. The village and beach in particular have very catchy tunes. My only complaint about the game is that it’s a bit shorter than we’re are used today. The main game took me 3 hours and an additional hour to collect all the items and complete the additional quests. At $13 I wish there would be more things to do, but in general I really enjoyed the game and the simplicity of its story. 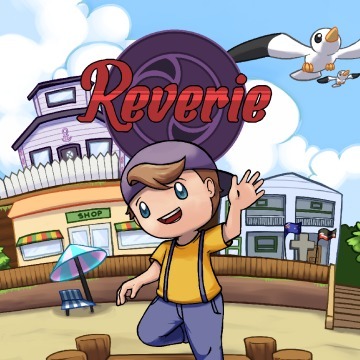 In conclusion, if you enjoy the old The Legend of Zelda games, or want an adventure RPG with a fun story that doesn’t revolve around a meteorite, one-winged angels or the end of the world as we know it, then give Reverie a shot.